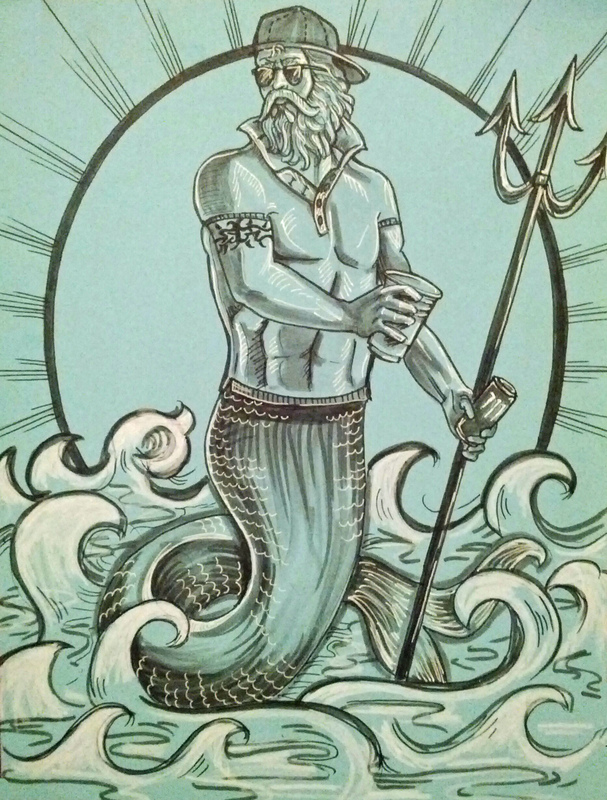 day twenty two…broseidon, king of the brocean! Today’s drawing comes by special request of my bro, Kris. I give you Broseidon, the famed Greek God of the brocean! He’s got his solo cup ready, his collar popped and a monster energy drink on deck…ready to bro-down!